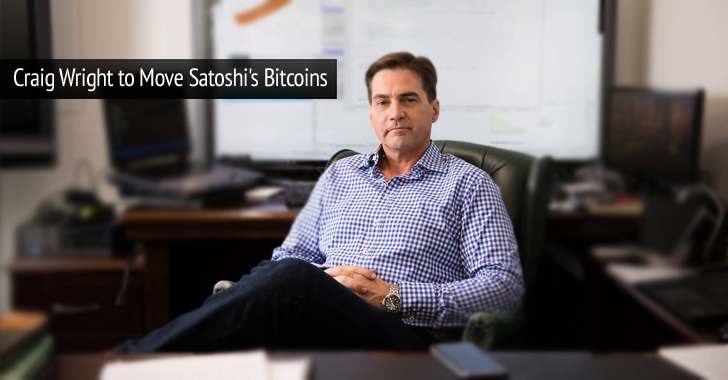 Yesterday, BBC broke a story allegedly revealing Craig Wright as the original creator of Bitcoin digital currency Satoshi Nakamoto. However, the highly skeptical cryptographic community is definitely not yet convinced with the technical proofs Wright has yet provided to the media outlets and on his blog. Now, Wright has promised to provide further evidence for his claim that he is behind the pseudonym, Satoshi Nakamoto. Wright’s spokesman told BBC that he would "move a coin from an early block" of Bitcoin owned by Nakamoto "in the coming days." However, the spokesman did not specify a deadline. "So, over the coming days, I will be posting a series of pieces that will lay the foundations for this extraordinary claim, which will include posting independently-verifiable documents and evidence addressing some of the false allegations that have been levelled, and transferring bitcoin from an early block. ", Wright said in a latest blog post "Extraordinary claims require extraordinary Proof." You should know that whoever is Satoshi Nakamoto in real, he should have access to around 1 million Bitcoins (currently worth $400 million) mined in early days of technology. Since those Bitcoins have never moved in the seven-year-long history of Bitcoin, if Wright is right, he can transfer some part of those oldest Bitcoins to a different address in order to prove the possession of the private keys of those early Bitcoins. The Industry Calls him a Scammer, Why? Yesterday, Wright offered cryptographic key as proof of his work, backed up by other technical information, to convince the cryptography community that he is behind the pseudonym, Nakamoto. However, the community described Wright’s proof as "flimflam and hokum" that ultimately did not demonstrate any non-public information about Nakamoto. It speculated that Wright "used amateur magician tactics to distract non-technical or non-expert staff of the BBC and the Economist during a stage-managed demonstration." Robert Graham, a well-known security researcher, published an interesting technical blog post, “How Craig Wright's Deception Worked”, demonstrated step-by-step how Wright might have scammed so cleverly. Wright's proof has not convinced the wider public, but if he moves one of Nakamoto's Bitcoins, as promised, it will convince a majority of skeptical cryptographers.